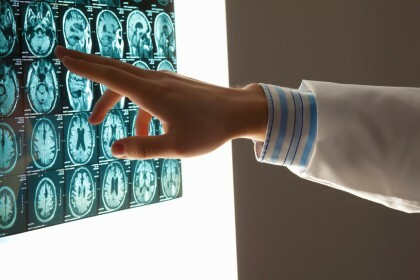 Traumatic brain injuries (TBIs) are one of the leading causes of death and disability in the U.S. In contrast to organic brain injuries that are caused by illnesses, diseases or genetic conditions, TBI is caused by some external force impacting the head and injuring the brain, either due to damaging the brain as it hits the skull or penetrating the skull and piercing the brain. Every 5 seconds, someone in the U.S. sustains a new traumatic brain injury. Here are some more fascinating traumatic brain injury statistics. Here we will highlight some eye-opening traumatic brain injury statistics that have been presented by the Centers for Disease Control and Prevention (CDC), the National Institutes of Health and other credible organizations. These TBI statistics can underscore the prevalence of traumatic brain injury in the U.S., as well as the most common causes of these injuries. Between 1.7 million and 2 million Americans sustain a new traumatic brain injury each year. This is equivalent to one new TBI being sustained in the U.S. about every 15 seconds. While more than 52,000 people die as a result of a traumatic brain injury each year, most of these deaths typically occur either immediately after the injury or within two hours of the accident that caused the TBI. Every 5 minutes, someone in the U.S. is permanently disabled as a result of having sustained a traumatic brain injury. While TBIs cause more than 275,000 people to be admitted to hospitals in the U.S. each year, these injuries also contribute to about 1.365 million emergency room visits annually. More than 33 percent of people who sustain a severe traumatic brain injury were reported to be intoxicated at the time of the accident that caused their TBI. Falling and motor vehicle accidents, which can both be caused by negligence, are among the leading causes of traumatic brain injuries in the U.S. The following TBI statistics have been compiled and published by various reputable organizations and agencies, some of which include the National Institutes of Health, the Centers for Disease Control and Prevention (CDC) and the Center for Head Injury Services. The number one cause of traumatic brain injuries is falling, as falls reportedly contribute to more than 35 percent of all new TBIs that occur each year in the U.S.
Traffic accidents are the second most common cause of traumatic brain injuries, causing more than 17 percent of all TBIs. While a substantial portion of TBI cases are attributed to having “other” causes, being stuck by or against an object and being assaulted or attacked are also reportedly common causes of traumatic brain injuries (causing about 17 and 10 percent of these injuries, respectively). Sports injuries and exposure to blasts, which is common among military personnel, are also commonly reported to cause traumatic brain injuries. The people who are the most likely to sustain TBI include children younger than 4, teens between 15 and 19 and elderly adults who are older than 65 years old. For all age groups, males are far more likely than females to sustain traumatic brain injuries. 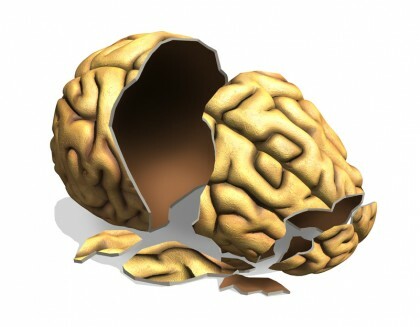 People who suffer one TBI are 3 times as likely to sustain another brain injury. After two brain injuries, the risk of sustaining another TBI increases by about 8 times. If you are recovering from a traumatic brain injury that may have been caused by someone else’s recklessness or negligence, it’s time to contact the Portland brain injury attorneys at the Savage Law Firm. For more than three decades, we have been devoted to providing each of our clients with personal attention, respect and the highest quality legal services. Do whatever it takes to help them obtain the best possible outcomes. Helping you recover from the financial setbacks caused by brain injuries is one of our primary goals. Our Portland brain injury attorneys encourage you to learn more about your rights and case by setting up a free initial consult. We represent clients in communities in both Oregon and Washington from our offices in Portland and Seattle.